Model: #161 Heavy Duty Grill Scraper Designed for tough jobs! This restaurant quality heavy-duty grill scraper with the easy grip handle will reduce cleanup time and cut food and grease buildup that can ruin grill surfaces. Replacement blades are available. Model: #181 Heavy Duty with Squeegee Designed for Easy Cleanup! 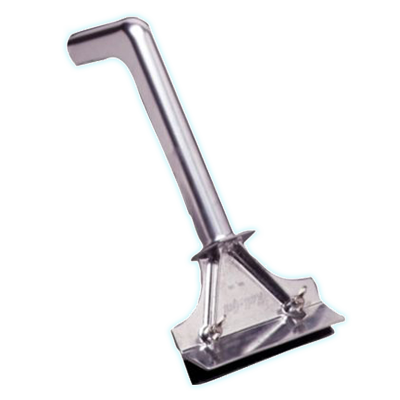 Our newest product, the Heavy Duty Scraper with a Squeegee Add-On is an all in one tool that makes every part of cleaning the grill a snap. 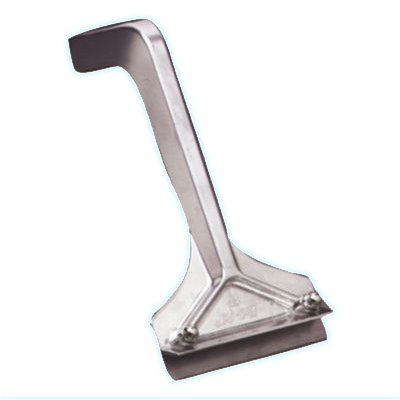 This is the original handle with an FDA and EU Certified silicone squeegee attachment. Model: #173 Mini Designed for smaller, tighter areas. 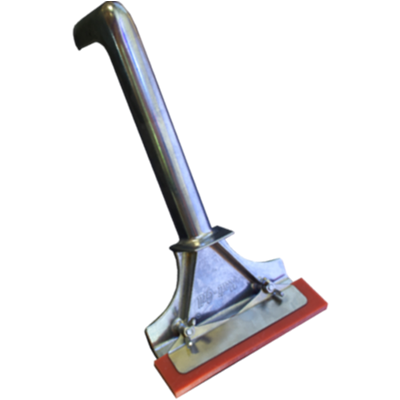 The Mini Scraper is every bit as strong as the Heavy Duty Scraper, though can get into the smaller and tighter areas on the grill. 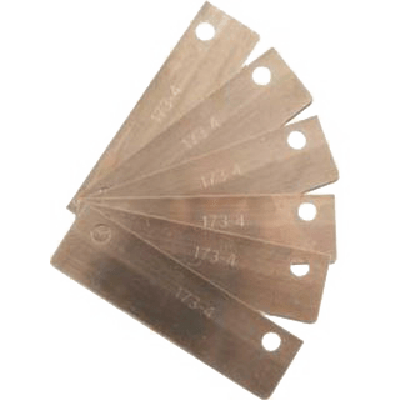 Replacement blades are available. Model: #161-1 and #173-4 Our blades also fit most of our competitors scrapers! Replacement Blades for the Heavy-Duty ​& Mini Scrapers. While you didn’t even know what we were up to, we were busy making your life easier!